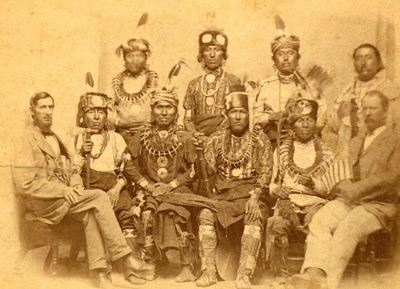 Left: A number of Friends from Menallen Monthly Meeting served on the Otoe (Plains Indians) Reservation in Nebraska in 1878, under the direction of Jesse Griest and his wife, Sabilla. The Kosers, and the Blacks were also part of the contingent who went west at Pres. 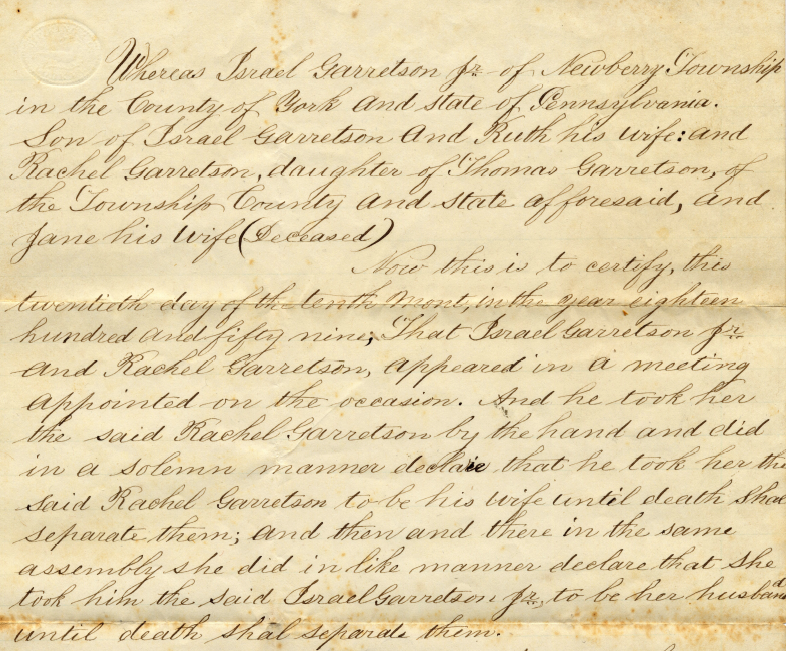 US Grant’s request. 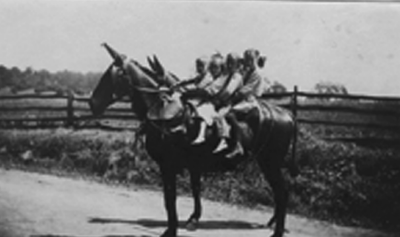 Right: Two handsome mules held Cam Garretson and his siblings when they were small. 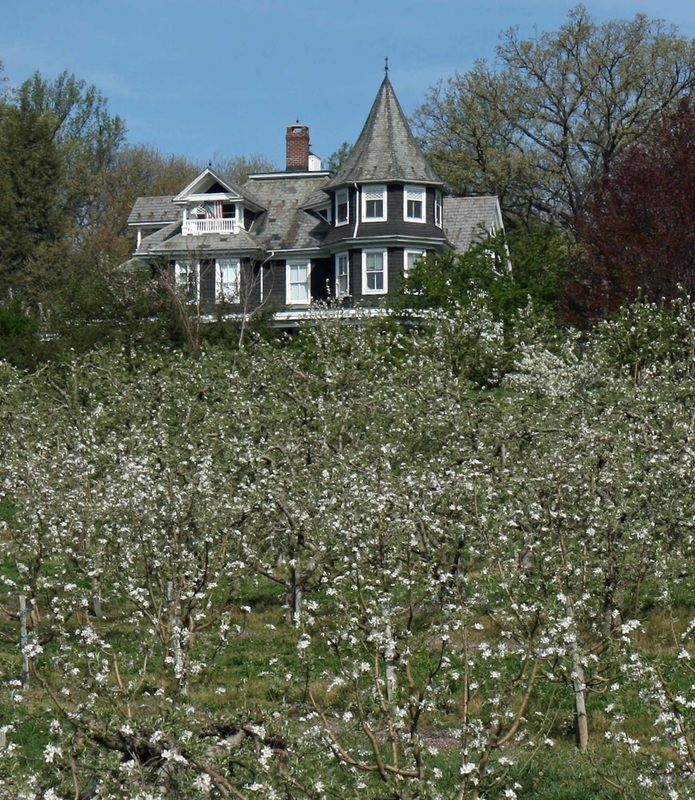 Cam continued to run Beechwood Orchards, named by his father, Robert Israel, for the fine beech trees at the farm. 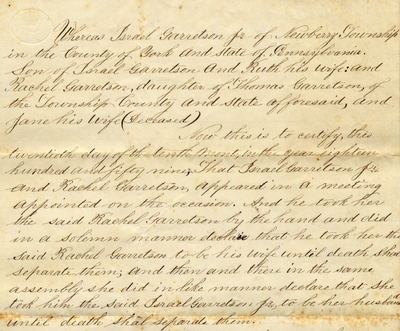 Right: Israel Garretson and Rachel Garretson’s wedding certificate from Newberrytown Meeting, dated October 20, 1859. 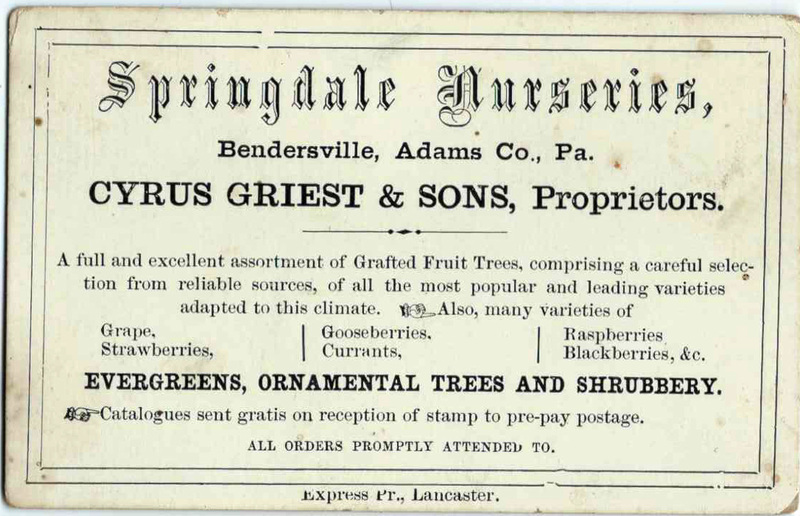 They moved to what was then Longsdorf Nurseries in Flora Dale shortly afterwards. 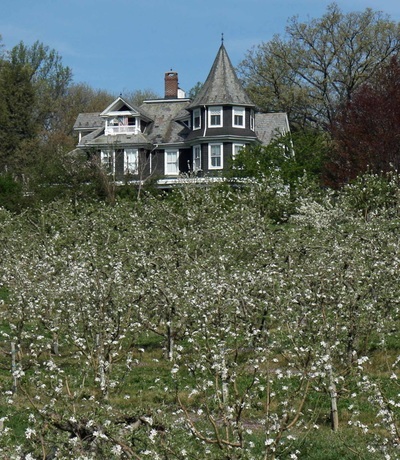 In 1881, Israel presented a paper to the Pennsylvania Fruit Growers’ Society called “The Cultivation of Apples”. 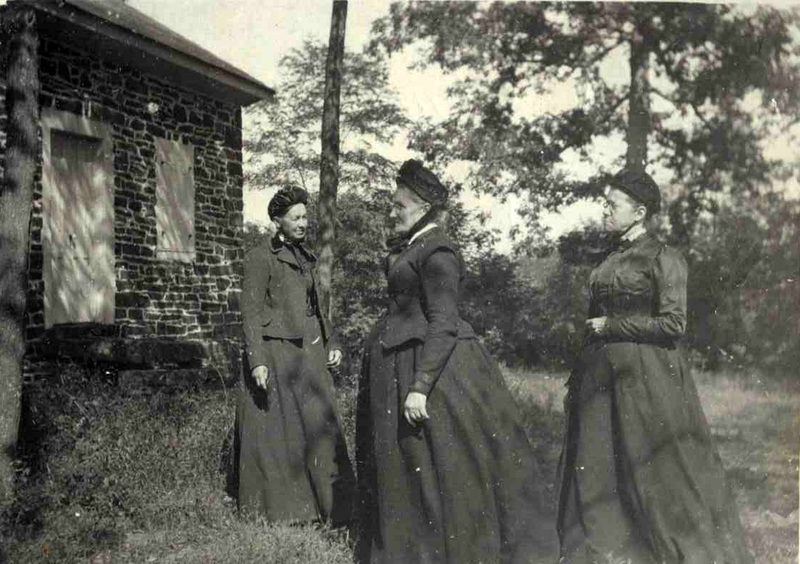 Top left: At Huntington Meeting House, “Grandma” Maria Tyson, Cousin Lizzie Koser Wilson, and an unknown friend. 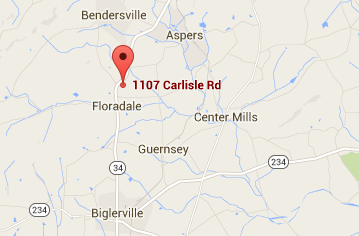 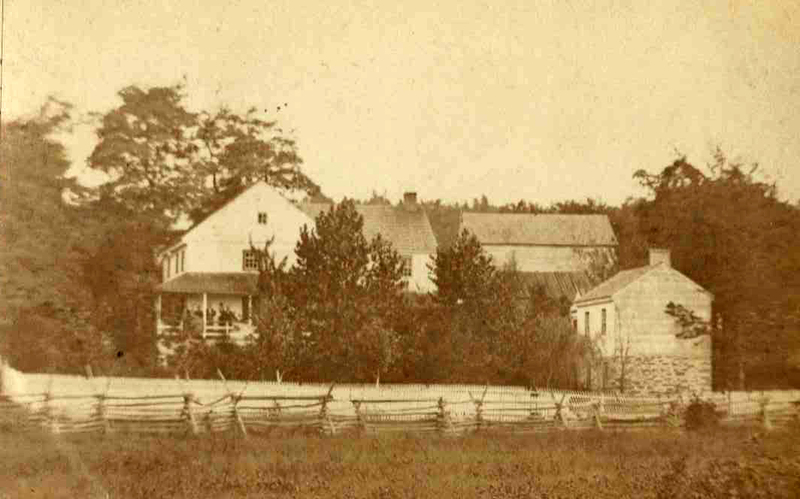 Top Center: The Cyrus Griest homestead, Springdale Nurseries on Quaker Valley Road; an Underground Railroad site. Top Right: Picnic in the Menallen Meeting House grove in August/September 1959--Gail Blackburn’s farewell dinner. (Current friends will recognize the trestle table.) 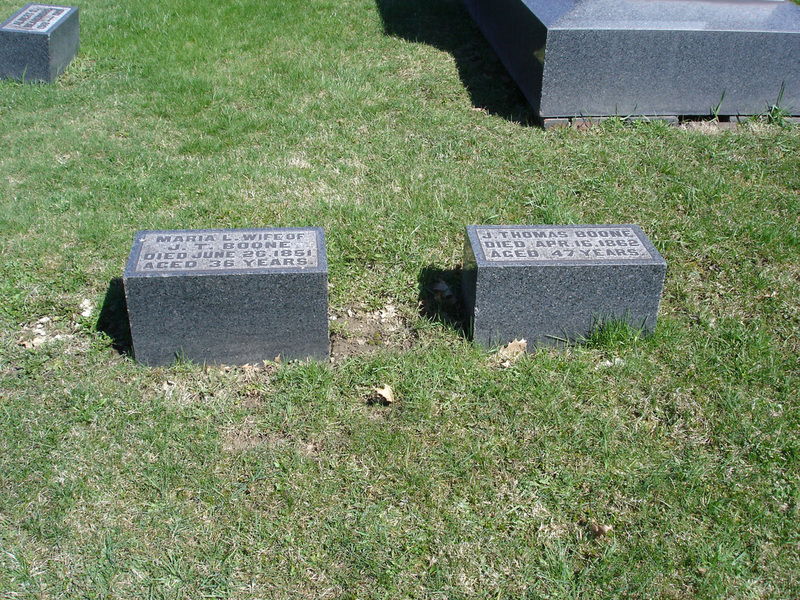 Friends include Virginia Perry, Dorothy and her husband Wagner, Alice Black (? 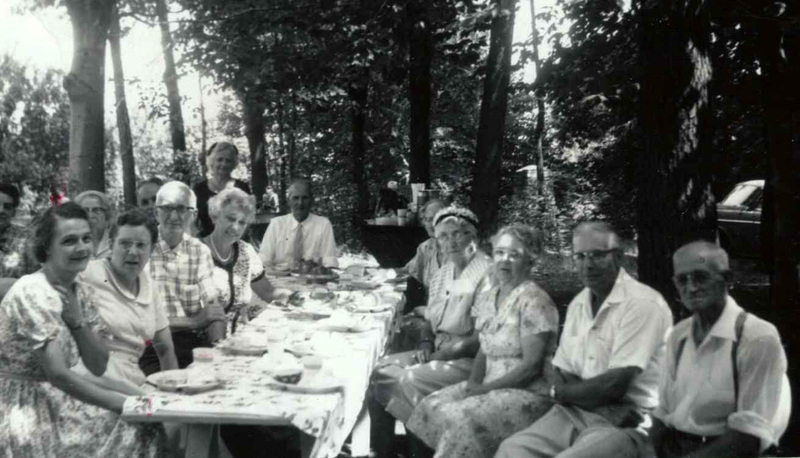 ), behind her Irene Tyson and Don Tyson (only his hair is showing!) On the right, Bertha Tyson. 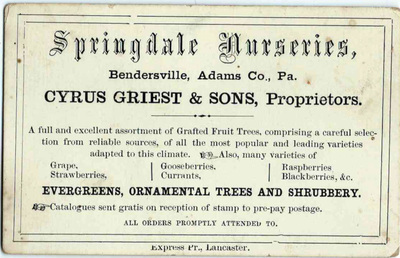 Bottom Left: Cyrus Griest’s Springdale Nurseries business card. 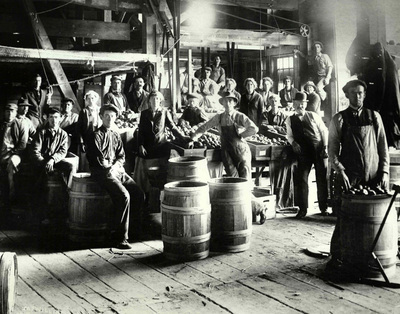 Bottom Middle: Tyson packing house, at Mapleton, Adams County circa 1910. Bottom Right: The Hill House, across from Menallen Meeting House, built for Chester and Bertha Tyson circa 1900, where they raised twelve children.